This one had been bothering me for quite some time now. Ever since upgrading from ISA 2004 to ISA 2006, I noticed that the context menu item for editing the per rule HTTP Filter settings was missing from all the web publishing/access rules. 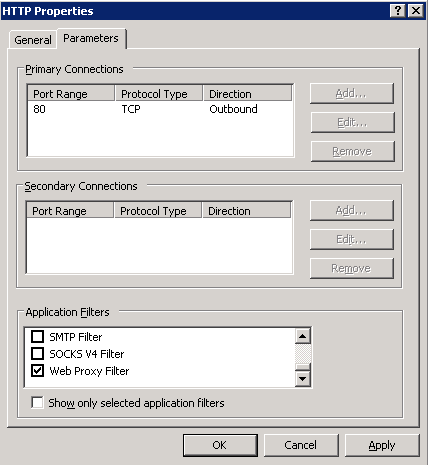 The only way I could edit these settings was the HTTPFilterConfig.vbs script which is included in the ISA SDK. This script lets you import the filter settings to a rule from an XML file or export them to an XML file from a rule for which the filter settings have already been modified. This works quite well but is a hassle every time a rule needs to be modified. 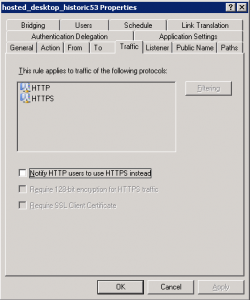 It turns out that the Web Proxy Filter must be enabled for the HTTP protocol. 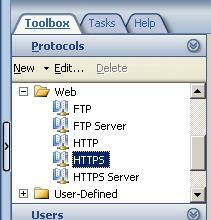 Without this enabled, you loose the HTTP filter configuration menu. 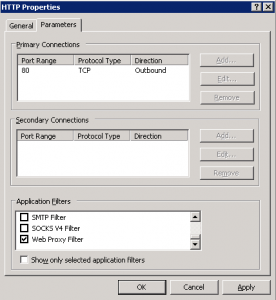 If you dont want to enable the Web Proxy filter, as it may not work well with some sites, enable it temporarily, change the HTTP filter setting and then disable it. 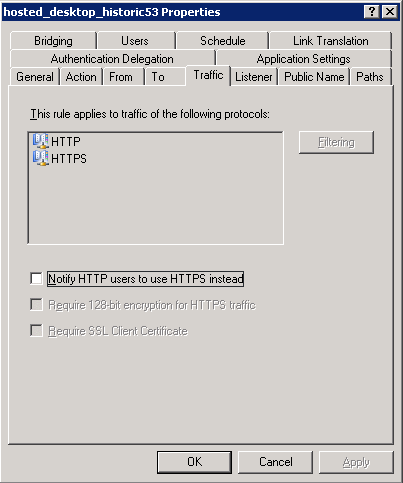 The HTTP filter settings will still remain active. Problem solved.